TEST SCORE GRAPHING SERVICE –It is essential for all education shareholders to have the data they need INSTANTLY in an easy-to-use format. KASC’s user-friendly and easy-to-follow graphs show you exactly where you need to focus! Let KASC take the prep work out of your data analysis, so that you can focus on understanding and analyzing test scores and ultimately increase student achievement. See our Test Score Graph page for sample graphs and more information. MAP DATA ORGANIZER – Cut scores correlate to NWEA’s linking study (MAP to K-PREP). For elementary and middle schools using MAP as a diagnostic tool, KASC has created additional reports to show growth and correlate with Kentucky standards. NWEA’s detailed diagnostic reporting system is useful in determining students’ needs and grouping students. Based on feedback from schools, teachers also want to see student data over time and not just after one testing session. Principals want reports to share with grade level teams and with the SBDM council to show student progress. In addition, KASC has also provided winter cut scores that are consistent with fall and spring scores so that performance levels can be documented for each testing session. KASC’s MAP Data Organizer supplements NWEA’s diagnostic reports. K-PREP Trend Data Graphs - KASC's Trend Data Graphs include six years of data by subject area showing the percent novice, apprentice, proficient, and distinguished. For each subject area, schools will see the data for each student group: free/reduced lunch, ethnicity (black, Hispanic, white), disability, gender, gap group, and all students. 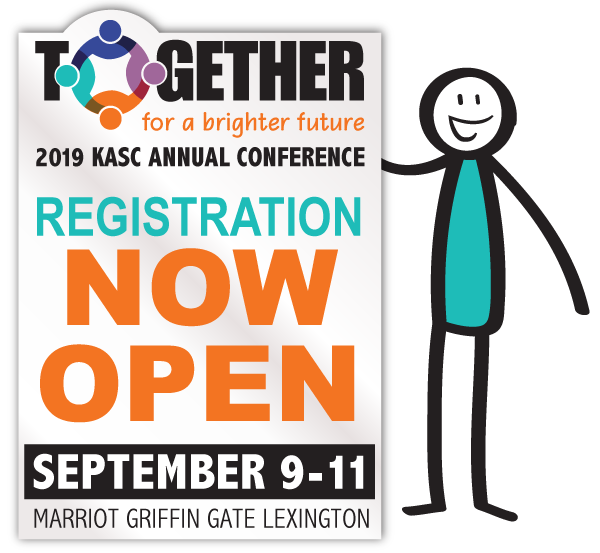 KASC does the hard work for you! The data is available to anyone in the School Report Cards, but the data is in separate documents for each year. KASC makes it easy for you by pulling all six years into easy-to-read graphs. In Kentucky, standards and statewide assessments and standards have changed over the years. However, we can still look at the percent of students in various groups reaching proficiency and consider whether students met the standards taught and assessed at the time. Schools will gain insights on student performance by group, as decisions are made on Gap Targets and Improvement Plans. Kentucky Valley Educational Cooperative’s (KVEC) third annual Micro-Credential Summit - June 18-19, 2019, at the Crowne Plaza Conference Center in Louisville, KY.
KDE's Best Practices Website Taking Submissions - The Kentucky Department of Education’s Best Practices and Sustainability website is open for submission of best practices from schools and districts. © Copyright 2018 KASC. All rights reserved.